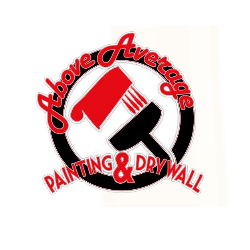 Since 2006, Above Average Painting & Drywall has served Omaha and surrounding are for drywall and painting needs. Whatever the size of your next drywall or painting project, from new construction to remodeling, Above Average Painting & Drywall has you covered. Our team is dedicated to quality and customer satisfaction. Our services include: Basement finishing Drywall hanging Taping Ceiling spraying and custom ceiling finishes Sanding Full painting service Post-completion package Mold Mitigation Water Restoration We know that during construction projects, timing is important. It is for that reason that Above Average Painting & Drywall is committed to meeting and maintaining a detailed schedule for our customers. If you have questions or want to speak to one of our knowledgeable team members, call Above Average Painting & Drywall! Omaha, NE 68144 Hang Strong Inc.